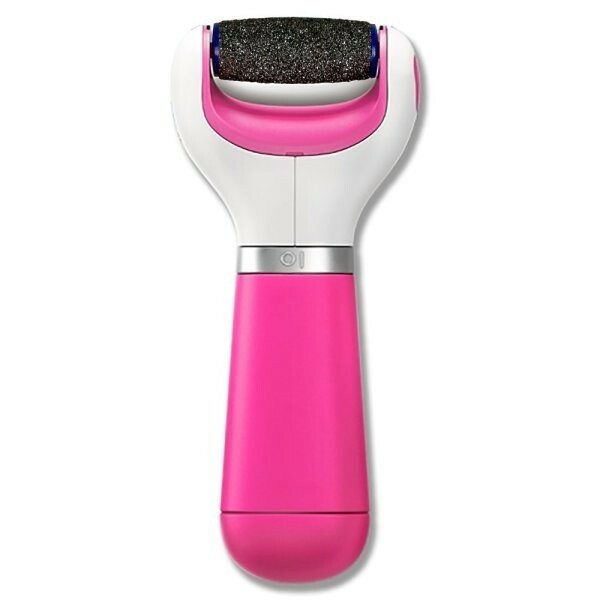 Use the Amope Pedi Perfect Electronic Extra Coarse Foot File as part of your footcare routine to make cracked heels and dry skin feel beautifully soft. 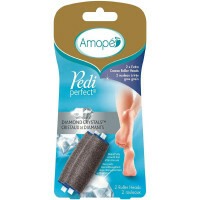 The Amope Pedi Perfect Extra Coarse Foot File buffs away hard skin, leaving you with feet that you will want to show off about. Feel confident with silky smooth feet by using this file as part of your footcare routine. 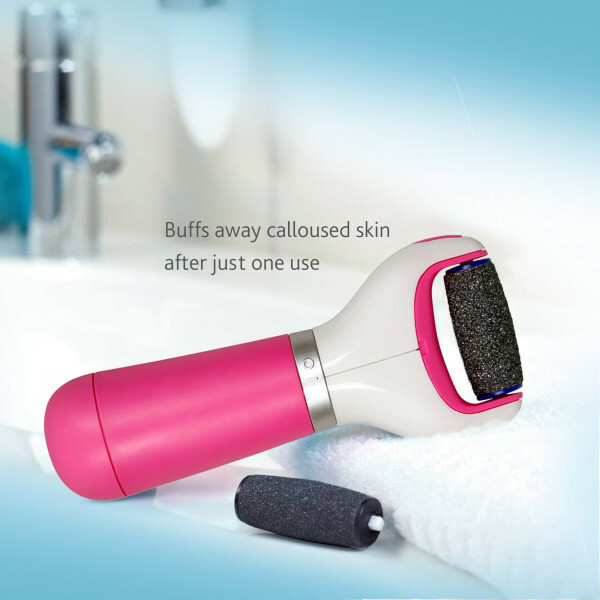 The extra coarse roller head boasts long-lasting micro-abrasive particles. 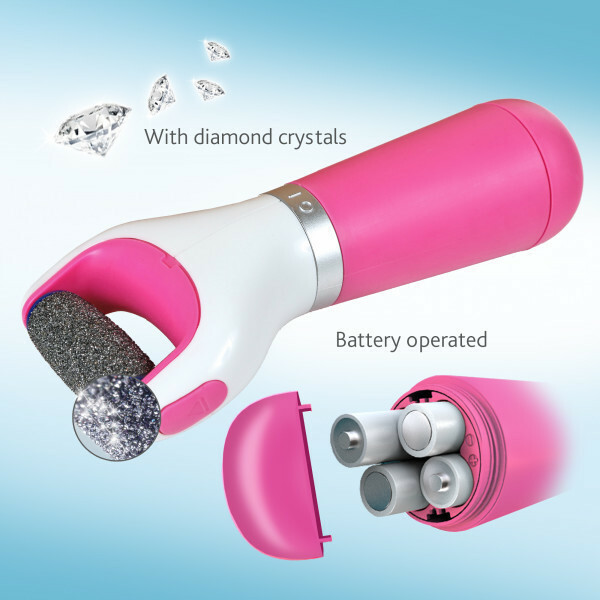 The finely ground diamond crystals are designed to buff away at stubborn, hard skin that is in desperate need of some tender, loving care. 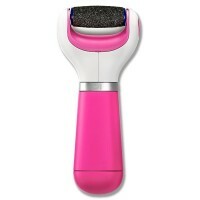 Your feet will look visibly softer and smoother. Gently rotate the extra coarse file over the hard skin and watch as the dead skin starts to disappear. Once you have filed away the dead skin, make sure to use one of our Foot PediMasks that helps to moisturize and nourish your feet, leaving them even smoother than before. Keep out of reach of children. For use on hard skin on the feet only. Use only on dry (not wet) skin. Do not use the product anywhere else on the body. Only use for its intended purpose. Do not use in the same area for more than 3-4 seconds at a time. Stop use immediately if irritation or discomfort occurs. Do not use on broken, sore or irritated skin. Do not submerge the product in water. This product is not suitable for diabetics and those with poor blood circulation. Keep longer hair and clothing away from the product when in use.